If Mega Man Legacy Collection has you hankering for more classic NES action, look no further than Mega Man: Super Fighting Robot. Developed by MrWeirdGuy, this new fan-game delivers new twists and turns to the already tried-and-true Mega Man formula. There's a bevy of secrets to find, difficulty modes for every kind of player, and some unique RPG-elements. You can download the game here. For added replay value, additional content is planned for the future. How about a boss fight with the one and only Shovel Knight? It's possible. Stay tuned to the game's official Facebook for future updates. Don't get too excited - it's not up yet. Somewhere around 5PM-9PM EST, Mega Man Legends will finally, finally arrive on PlayStation Network in North America. The 1998 action-RPG classic will run you $9.99, playable on PlayStation 3 and PlayStation Vita. Due to unspecified complications, the game is not playable on PSP. UPDATE: It's out! And speak of the devil, it works on PSP despite early reports. It's no secret Mega Man Legends is among my top favorite games. You'll pardon my bias when I say it's an under-appreciated gem of the 32-bit era. It's disheartening that Ocarina of Time tends to overshadow the accomplishments of Legends; innovations largely ignored and overlooked to this day. If you're playing the game for the first time, put yourself in that mid-nineties mindset. Be mindful of facial animations, fully-voiced cutscenes, 3D "dungeons" -- hell, even primordial Z-targeting. Really cool stuff for the time. So here it is. Whether you're playing it for the first or hundredth time, I hope you enjoy. There's more to Mighty No. 9's demo than meets the eye. Peel back the layers of code and you'll find huge portions of the final product, which itself is not due until February 2016. Read on if you don't mind blowing the lid off unseen content. From now until late October, player's of Capcom's mobile brawler Street Fighter Battle Combination can load up limited edition Mega Man character cards. Mega Man, Proto Man and Zero grant players special attacks and attributes to lay the smack down. 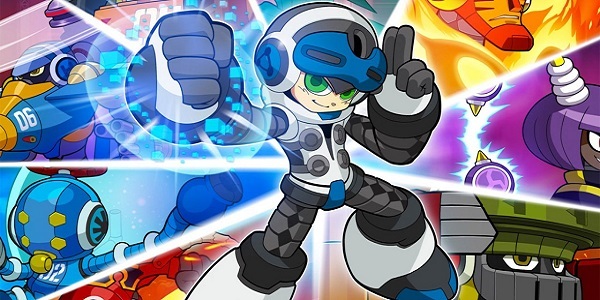 Mega Man joins the likes of other Capcom properties in Battle Combination, from Resident Evil to Ghosts n' Ghoblins. 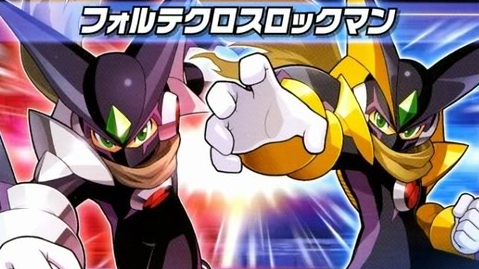 You can check out the powers abilities of each Mega Man cards here. Just announced at TwitchCon, Mighty No. 9 is now slated to launch in North America on February 9th, 2016 and February 12th worldwide (all versions but 3DS and Vita. Release date pending). Further, the game's special demo version relaunched today on Humble Bundle. All you need to do is login to Humble Bundle with the e-mail addressed you used to back the game. From there you just need to hit download. The demo consists of five stages: the intro stage and four Mighty Numbers. If you have any problems, click the link above for detailed instructions. That's about all there is to report. Do you think they'll announce the next delay on February 8th? I'm just playin' - be cool. 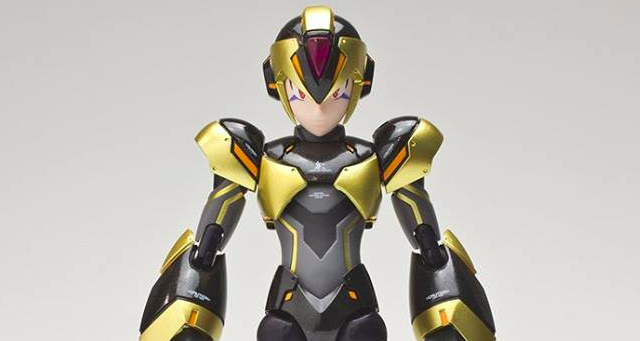 Exclusive to New York Comic Con 2015, TruForce Collectibles is releasing a limited edition "X-Kai Mega Man X" figure. It's being advertised as an original character; X's evil counterpart made by a mysterious man during the events of Mega Man X2. Check out the full reveal after the break! 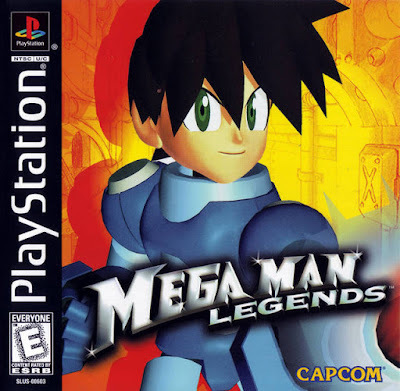 Mega Man Legends is Coming to PSN Next Week! They did it. They actually did it. After championing the cause for nearly half a decade, Brett Elston and team Capcom USA have made the impossible happen: Mega Man Legends is headed to PlayStation Network in North America. Capcom has confirmed the original PlayStation classic will launch on the PlayStation Store next Tuesday, September 29th. The game will run for $9.99 - a little pricier than your typical PSOne Classic but far cheaper than the likes of eBay. It will be playable on PlayStation 3 and PlayStation Vita ONLY. Due to "a variety of constraints" it will not play on PSP. Be advised! This is a huge win for not only the Mega Man community but curious gamers looking to see what all the Legends fuss is about. Capcom USA has my heartfelt thanks for making it happen! Now, I'm genuinely curious how they got around those gnarly legal hurdles. I wonder if Sony actually eased their master disc image policy and allowed Capcom to go in and remove infringing content. That *might* explain the additional six dollar charge.We'll find out next week! Once thought to be lost to the times, the Forte Cross transformations are actually obtainable in both Virtual Console versions of Rockman EXE 5 on Wii U. The gold (Team Blues) and silver (Team Colonel) forms can be unlocked simply by going to the in-game Communication menu and saving your game. The process also unlocks the ForteXX sidequest. For the uninitiated, Forte Cross Rockman was a powerful form acquired through the Game Boy Advance e-Reader. Players could legitimately obtain it through a promotional e-Card distributed during the Rockman.EXE movie. In North America and Europe, the forms could be obtained through the use of cheat devices (Action Replay or GameShark). Because data for Forte Cross Rockman and BassXX exist in the international versions, it's quite possible these extras will be made available when Battle Network 5 arrives on the Virtual Console internationally. We'll be sure to keep an ear out! You know that Mighty No. 9 demo that was supposed to launch today? The very thing to compensate the full game's 2016 delay? Yeah; that's been delayed too. Although a few backers got it early, the demo is no longer planned to launch for everyone else today. Comcept says "some issues popped up regarding the distribution method so there is a good chance it will not be ready to launch by the 15th." They're "really sorry for the inconvenience." A new release date was not announced. Folks, Comcept is about as transparent as Vaseline. If it wasn't enough they told backers about the full game's delay weeks after retailers, they waited until the day of the demo's launch to tell you it's been delayed. And the little cherry on top? The announcement was slipped on to the end of an unrelated post about a contest. You can be better than this, Comcept. Readers and backers alike, I am sorry you're being subjugated to this ongoing cycle. Try to hang in there. You'll get your money's worth one of these days. UPDATE (9/18) - Comcept sent out a couple additional details in the latest backer e-mail. The tl;dr version, unexpected complications distributing through Steam arose. They're looking at alternate distribution methods, such as Humble Bundle. Comcept is also working on making the demo DRM free with no time restrictions. Because of all of this, ETA of the demo remains unknown. 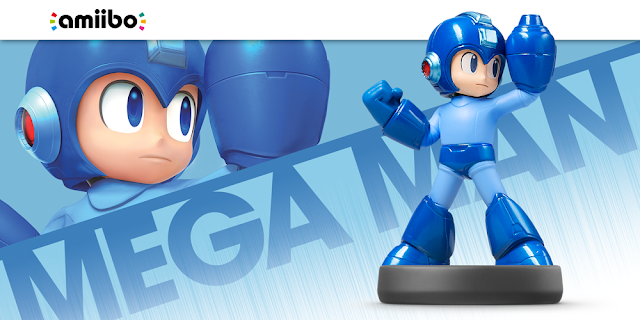 Capcom has confirmed Amiibo integration for the Nintendo 3DS version of Mega Man Legacy Collection. The game will include ten all-new challenges that can be unlocked with the Mega Man Amiibo. These challenges will be designed by you, the players. Capcom Unity has put together a little contest to determine the results. They're tasking you with designing a challenge for one of the six games in the collection. Ten winners will be selected by a panel of judges based on overall quality and how well the challenge compliments the existing challenge list. The more creative and unique the challenge, the better your chances of winning. You'll find the full rules and regulations here. Good luck! We'll see your challenges when the game launches on Nintendo 3DS in early 2016! As consolation for the 2016 delay, the Mighty No. 9 Special Demo is now available exclusively to backers. It's a PC demo regardless of the platform you backed. If you have the previous beta/demo, this version should automatically find itself in your Steam library. If you're not a backer, you can enjoy 16-minutes of gameplay above. Last Super Mario Maker post, I swear! Megacocorock has finished his Mega Man stage: it's Metal Man! This 1:1 recreation features everything you know and love about the classic Mega Man 2 stage with a Mario twist. Simply splendid! Wanna play it? Search for this level ID: C660-0000-0011-E63F. Do note the music is not included; it's for the video only. Mega Man Super Mario Maker Mayhem! 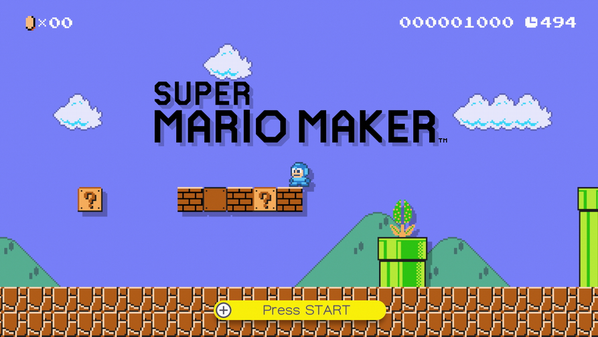 Super Mario Maker launches in North America later this week! To tide you over, here's a brand new batch of Mega Man Amiibo costume screenshots. You'll also find a sneak peek at what's to come from a certain fan in the East. It may not be the game you were supposed to get this month, but it's something. Now available on Yahoo! Japan, Mighty No. 9: Go For It! Beck! is a super-simple HTLM5 mini game anyone with a thumb or index finger can play. Featuring a cute hand-drawn art style, you're tasked with defeating all the Mighty Numbers in a boss rush. The controls are simple: click your mouse to make Beck jump (or double jump) over projectiles. That's it. You can equate it with Rockman Xover with just bosses. While it may not have much depth, it acts as a decent primer to the new trial version of the full game, which launches September 15th exclusively to backers. Give it a spin here. I debated posting about this, really. But since it's gaining traction and spreading like a bad itch, you may as well know. Grab some globs of salt: we're talking about the rumored Mega Man movie. And by brief I mean literal seconds. The above video shows most if not all the Amiibo costumes Mario can wear in Super Mario Maker. Mega Man pops in at the 1:19 mark and hops around a bit. He's so tiny! For the uninitiated, the costume can only be used in 8-bit Super Mario Bros. stages. No Buster or anything fancy like that - it's a skin. You can unlock it with a Mega Man Amiibo. Super Mario Maker launches in North America on September 11th. After a brief pause in the Wii U Virtual Console drip, Japan is gearing up for two additional Rockman GBA classics next week: Rockman EXE 5: Team Blues and Rockman EXE 5: Team Colonel (702 Yen each). No sign of Twin Leaders/Double Team DS at the moment. You'll have to settle on the original GBA versions for now. I don't think there's any 3rd party DS titles on Wii U yet, either. If that's the case, TL/DT may be a bit of a ways away if at all. In the meantime, I'm sure we'll be seeing these two in North America and Europe in the near future. We'll keep an ear to the ground.